Silverware socks from getting better. Bumps are polished to a Shine, and the trough covered with a natural patina. 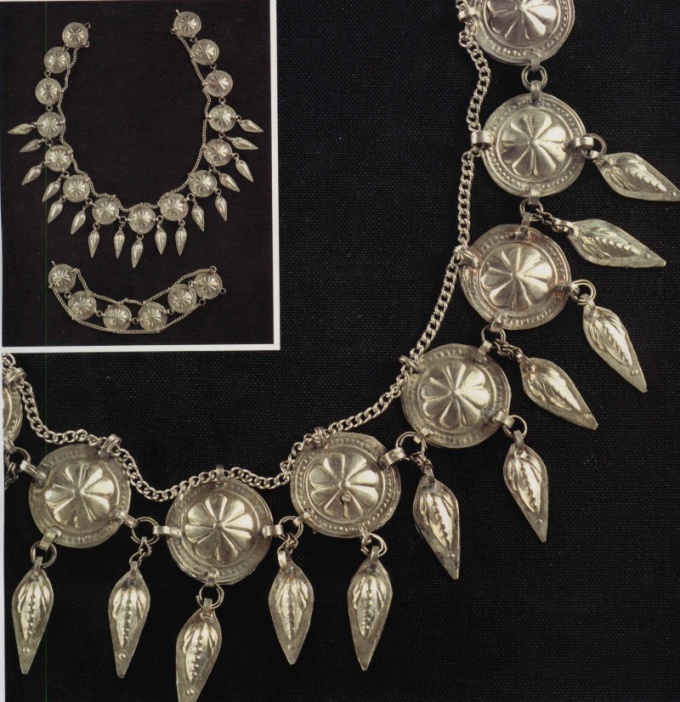 However, silver jewelry can darken or turn yellow. Silver acquires a yellow tint as a result of its interaction with hydrogen sulfide, carbon dioxide, oxygen and moisture of the air in the living room. Silver products are subject to atmospheric corrosion, which occurs due to the clogging of the gas admixtures of air. This jewelry first fade, due to the formed surface film, which consists of insoluble compounds and cause an interference color.Gaseous hydrogen sulfide, which is one of the components of the industrial atmosphere that can cause darkening and tarnish from oxidized silver with the subsequent formation of silver sulfide.Discoloration of the product occurs when the thickness of the plated film him 400 And, at first, silver yellow (with a thin layer of film), and eventually covered a touch of dark brown, almost black (thick layer of film). The growth rate of the film thickness (sulfide layer on the silver jewelry at a concentration of hydrogen sulfide more than 10-6% remains almost constant. While in a humid atmosphere of sulfur dioxide, in addition, it becomes sulphate of silver in the form of loose corrosion product. Hydrogen sulphide in facilities can be explained by selection it from the casein, which is used as binder of pigments.Also the source of yellow hue on the products can be the highlight of sulfur from vulcanized rubber, which is used for gaskets in the shop Windows, flooring, finishing materials. There are many products, having in its composition of sulfur, having an adverse impact in direct contact with the silver products. It could be some types of cardboard used for packaging, paper, textile materials. When you interact with them on silver may form yellow stains.In dry air, silver objects retain their color.